House Democrats have already gone to war with President Donald Trump. But there’s one target they’re skittish of hitting too hard: his children. In public and private, Democrats see potential pitfalls in dragging Trump’s adult children into their political squabbles with the president. So even as they ramp up their investigations into Trump, senior Democrats are reluctant to scrutinize Trump’s adult children too much as part of their sprawling probes into Trump’s administration, campaign and business empire. The Oversight panel is battling with the White House over the process for approving Kushner’s security clearance, including whether Trump intervened in getting the clearance approved. The White House has refused to turn over documents related to Kushner’s clearance, and the committee is likely to issue a subpoena as early as next week, according to Democratic sources. Ivanka Trump could soon find herself ensnared in that probe, the Oversight chief said. Democrats have expressed great interest in Trump Jr. given his deep involvement in and knowledge of several aspects of his father’s campaign and finances. He has already testified before the House Intelligence Committee and Senate Judiciary Committee in closed sessions. 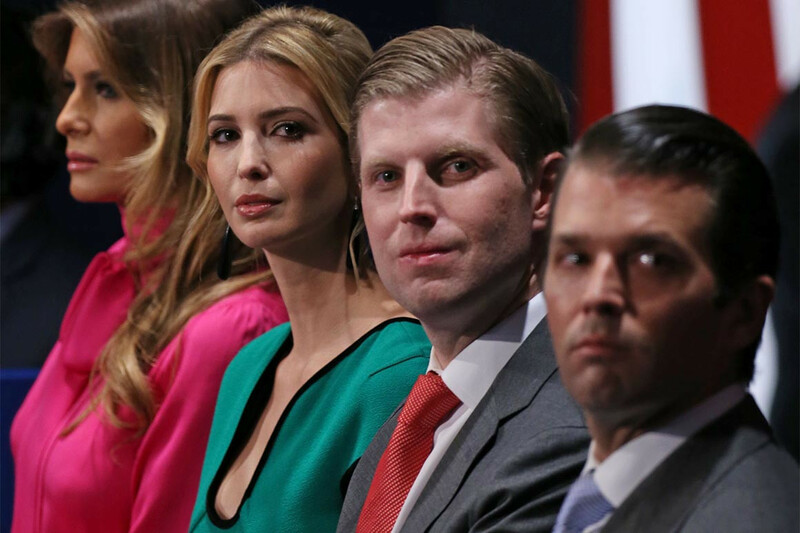 But many House Democrats are urging caution when it comes to Trump’s adult children who do not serve in the government. Kushner and Ivanka Trump both serve as senior advisers to the president and are subject to congressional scrutiny like any government official.